Distance 7 km, 5 hours, 550 m ascent, 210 m descent, camp altitude 3,290 m. The trek starts at beautiful Gynekha village and begins with a short descent to the river. After crossing the river you start climbing until you reach a huge rock platform from where you have a picturesque view of the valley below. After another two hours you reach Gur, an area of Yak pastures located just below the main trail. Distance 12 km, 5 hours, 1,220 m ascent, 110 m descent, camp altitude 4,300 m. On the second day, the trail takes you across the high ridges from where you can truly appreciate the rugged beauty of your surroundings and the mountain vegetation. The path winds through refreshing meadows adorned with wild flowers and asparagus (in spring). The first mountain pass you cross is marked by a huge calm and gives a spectacular view of Kanjenjunga(Sikkim) and a number of the Bhutanese Himalayan peaks. As you descend the pass you will be able to see the entirely. This day will be dedicated to relaxing and recuperating at Labatama. It is an ideal to take an excursion to any of three nearby lakes: Reli Tsho, Hen Tsho and Jama Tsho. Hikers are encouraged to take the opportunity to engage in some trout fishing as the location is ideal. Permits are required for fishing so you should request your tour operator to make the necessary arrangement beforeheand. Distance 8 km, 6-7 hours, 260 m ascent, 520 m descent, camp altitude 4,000 m. The trail climbs along the western side of Dala Tsho up to a saddle at 4,520m. 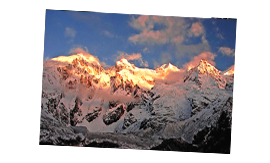 From here onwards you will have a fantastic view of the majestic Himalayan peaks all through the descent. The mountain peaks visible include Mt. Everest(Nepal), Mt. Kanchenjunga(Sikkim), Mt. Jomolhari, Mt. Jichu Drake, Mt. Tshering Gang, Mt. Khangbum, Mt. Masang Gang, Mt. Tsendu Gang and Mt. Gangche Ta. 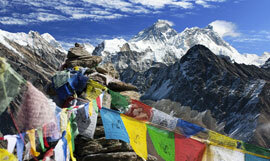 If you want an even better view, you can climb a peak close to the saddle with an altitude of 4,720m. Distance 8 km, 5-6 hours, 180 m ascent, 110 m descent, camp altitude 3,080 m. This day entails the crossing of several passes but none of them require a major climb. You should keep your eyes open for different varieties of blue poppy (June-July) and mountain birds while in this area. After crossing the last pass, Tele La(4,180 m) you start a long descent to Talakha Gompa. You will camp right beside the monastery and wake up to the early morning prayers of the monks. 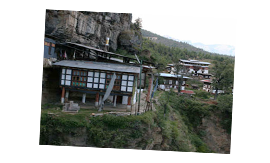 From here you will be treated to a great view of Bhutan’s capital Thimphu.